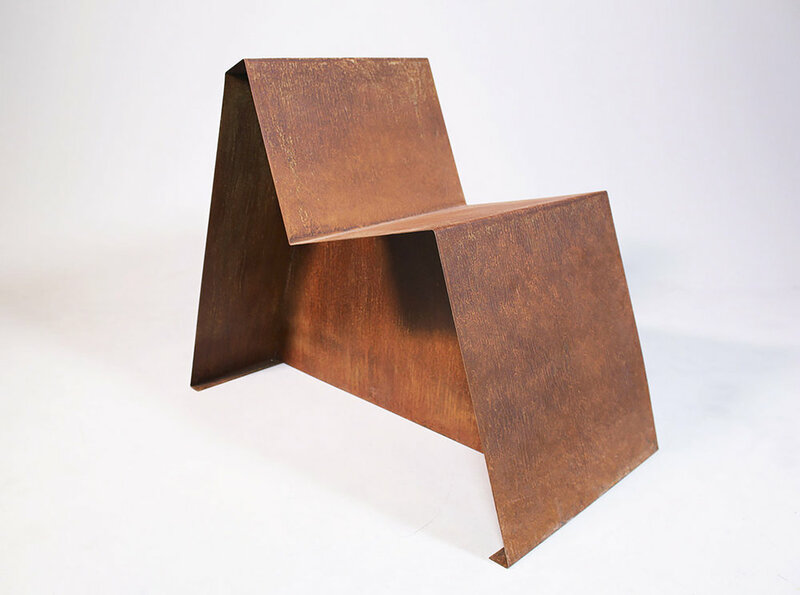 Folded sheet metal rusted steel sculptural chair by Hannah Vaughan. Hannah Vaughan was born in Los Angeles, CA to a bookbinder and an artist. Hannah attended Oberlin College in Ohio where she majored in fine art and religion. She continued her studies at Penland School of Craft in NC, and has subsequently been an assistant instructor there. Hannah ran the metal shop and manufactured fine furniture for Chicago based design-build firm, Lagomorph design, then got her MFA from Cranbrook Academy of Art in the field of 3D design.